When baking cookies don’t you always enjoy eating the raw cookie dough? I know my son and I absolutely love it! It is so delicious. Sometimes we even buy that prepackaged cookie dough and eat it without even cooking it! 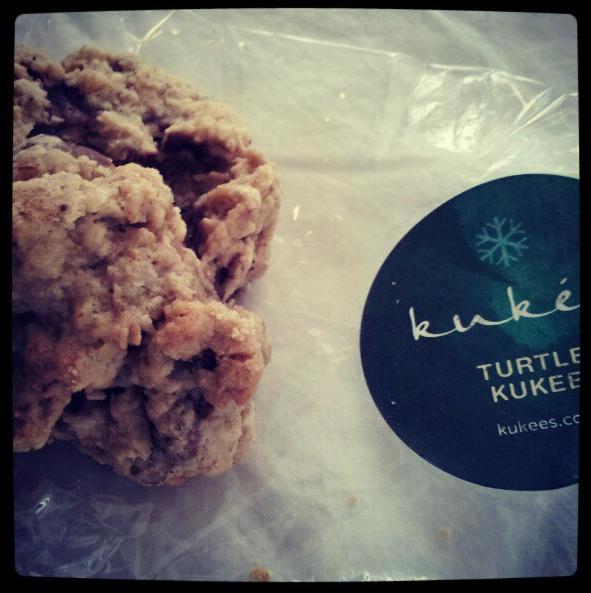 Kukees has officially created the most amazing cookies that are just like cookie dough, only baked. Yes, they are just like cookie dough! How exciting is that for your taste buds? Kukees are one-of-a-kind treats that are handmade and fresh baked with pure ingredients. They do not contain any preservatives or hydrogenated oils. The company has been perfecting this delicious treat since 1999 so you know they have only the yummiest recipe. When I received our box I immediately thought it would be perfect for gift giving. 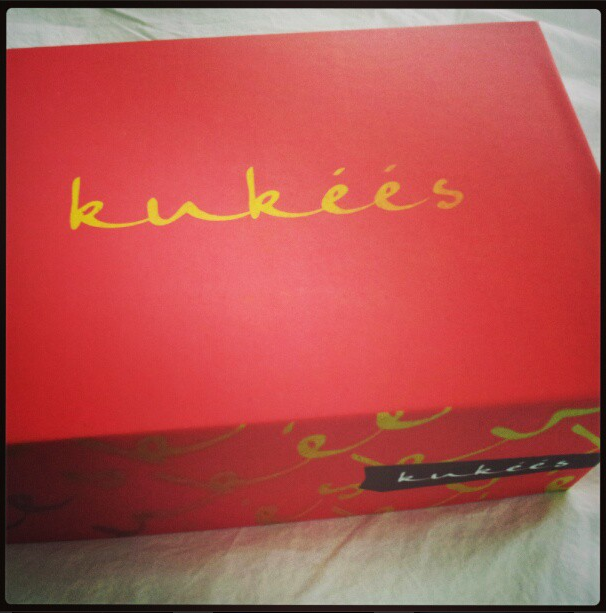 The box contained a variety of twelve different Kukees flavors including Turtle Kukee, Cranberry Orange Zest with White Chips, Gingerbread Chocolate and Pumpkin White Chocolate. Each Kukee was individually wrapped with a label on the bottom so I knew which flavor each package contained. Turtles are one of my absolute favorite candies so it was definitely my favorite. It was filled with caramel, milk chocolate, and pecans. Yummy! I love that you can either get one flavor or a mixture of flavors when you buy your Kukees online. You can try them by the dozen with one single flavor or mix the flavors up. They also offer a Biti-Bites Box which contains Kukees that are 1/3 the size. The Biti-Bites would be perfect for a party or to entertain guests with a sweet treat. When receiving a shipment of food you never know how they will be packaged or what they might look like when the food arrives. The Kukees are individually handmade and wrapped in separate packages. The individual packages are placed in their own small sections in one of their signature designed boxes that keep them safe. This also makes for a great way to give as a gift. Like Kukees on Facebook and receive a coupon for 40% off your next order. 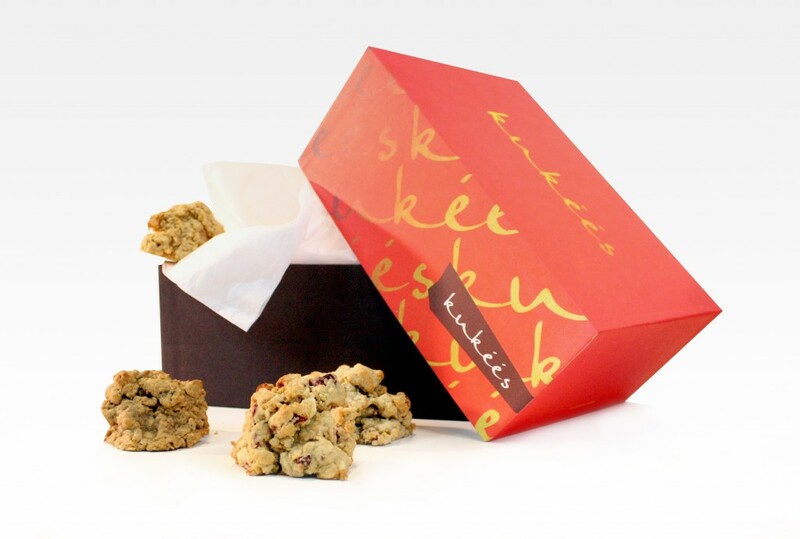 Enter to win your very own box of Kukees in our Kukees Giveaway. To inquire about becoming a sponsor for one of our fun events, sponsor a post, or anything else, please contact Melanie at info@giveawaybandit.com for details. Take a look at our Media Kit to see what Giveaway Bandit has to offer. I like that they have no preservatives or hydrogenated oils. I also like that they have more than just the “regular” chocolate chip cookie 🙂 Thanks for the review! I learned that the Kukees are individually handmade and wrapped in separate packages. Wow home made is to be good. I love that they taste like cookie dough. So excited to try these. Thanks for the review. I like that you can choose different flavors. All of one flavor is so boring! I learned that they are handmade with pure ingredients and contain no preservatives or hydrogenated oils. Oops posted on the wrong post! I learned that Kukees do not contain any preservatives or hydrogenated oils! I like this and that the cookie dough is baked! The cookie dough flavors sound so delicious! I learned that Kukees are handmade. i learned that if i win the cookies it wont matter that i am on a diet. i WILL be having ‘kukees’!! there is good chance i wont share them either. Sounds delicious and especially the fact that they are handmade and fresh baked with PURE ingredients. AND do not contain any preservatives or hydrogenated oils. Hard to find good stuff like these, thanks for the review. I love that they have some traditional flavors & some unique flavors. I learned that they are preservative free! WOW finally a cookie dough that is safe to eat. Thank You!!!!!! It’s nice that they don’t use artificial ingredients or preservatives. I learned that they have no preservatives. They do not contain any preservatives or hydrogenated oils – I like that! I learned that they started in 1999. I learned that they also come in a smaller bite size piece as well. I learned that they make twelve different, YUMMY, flavors that include Turtle Kukee, Cranberry Orange Zest with White Chips, Gingerbread Chocolate and Pumpkin White Chocolate. mmmm! I so want to try the Pumpkin White Chocolate!! I learned that their cookies are individually wrapped. I learned that they are individually wrapped. I love the sound of all the different flavors. Cranberry Orange Zest, YUM-O! I love that they taste like cookie dough! I’d love to try them! They look so tasty! I love that you can get a dozen mixed kukees or a dozen of one flavor. I also would love the mini kukees. I learned that Kukees have no hydrogenated oils — that’s a plus with a snack food! I love that they’re individually packaged and preservative free. 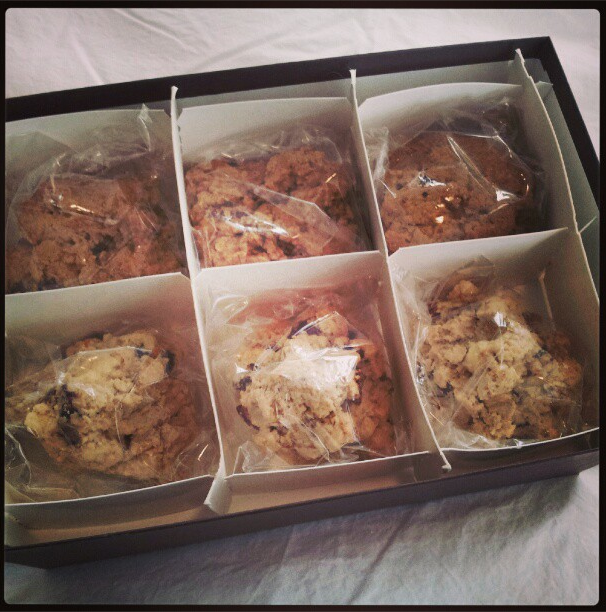 Kukees are one-of-a-kind treats that are handmade and fresh baked with pure ingredients. They do not contain any preservatives or hydrogenated oil. I learned that these cookies are handmade with no preservatives. I learned that it does not contain perservatives! I like that they use fresh, natural ingredients and that they have so many varieties! I also like, as you said, that since they are individually wrapped they would be perfect as gifts, stocking stuffers, party favors, etc. Thanks for the heads up about this company! I learned that they do not contain any preservatives or hydrogenated oils. These kukee s are soooo good, I tried the original flavor s before..It took me a while just to eat one because they’re so big..I can’t wait to try the new flavors.. I like the fact that they come in different flavors (for lack of a better word) and the fact that you can buy small ones – perfect for indulging, but not over=indulging.